This 1999 Pontiac Firebird is in average condition and runs and drives well. Please call for more information or come test drive it today. 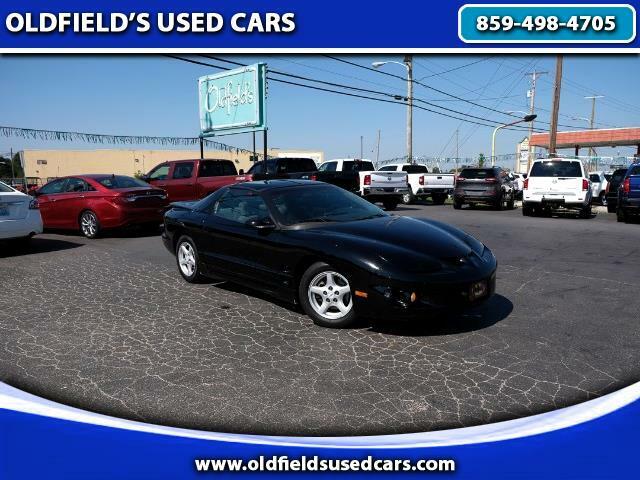 Call us today to schedule your test drive or visit our website www.oldfieldsusedcars.com to view our complete inventory. Oldfield's Used Cars, Inc. is family owned and operated and has been in business at the same location for 50 years. Our goal is to provide excellent customer service and the best selection of top quality of used cars in our area. Our dealership is located at 615 Maysville Rd. in Mt. Sterling, KY. We have bank financing and vehicle service contracts available, accept trade-ins and do not charge any document fees. We are committed to serving our friends and customers and are here to help you find the perfect vehicle in any way we can. We look forward to hearing from you, contact us anytime! Message: Thought you might be interested in this 1999 Pontiac Firebird.